No matter if it’s your first or your fiftieth cruise, nothing can prepare you for the excitement of embarkation day. After waiting months to pack your bags and set sail for distant shores, departure day is finally the time when you get to step aboard your cruise ship, sink a cool cocktail and ready yourself for the great times to come. If you are a first-time cruise traveller, however, embarkation day throws up all sorts of queries and concerns — with little to help you prepare for what to expect when you arrive portside. For those feeling a tad anxious about exactly what unfolds throughout embarkation, we’re here to appease your qualms with our step-by-step guide to a successful and exciting embarkation. 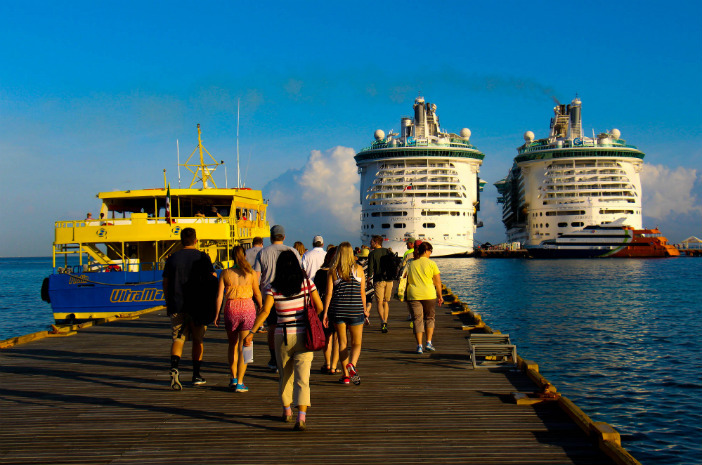 On the morning of departure, your cruise ship will normally land into port in the early hours, giving returning passengers plenty of time to exit the ship comfortably before a fresh load comes aboard. Usually, incoming passengers are permitted into the cruise terminal at around 10am, at which time the check-in process begins. Unlike flights, cruise ship check-in normally lasts for most of the day, given the sheer number of passengers travelling cross-country to rendezvous with the ship. While check-in and embarkation will last most of the day, we’d recommend trying to arrive at the ship as early as possible. Doing so will not only alleviate any stress of arriving at the ship late due to traffic and other unforeseen factors, but it means you can get aboard and start enjoying your holiday faster. Checking in for your cruise at the port is similar to arriving at an airport — you give your luggage to a porter who arranges for it to be taken aboard, head for the security gate and then meet with the pier staff who hand you your boarding documents. Before you even depart for your cruise, always remember to print off your boarding ticket to ensure a smooth check-in process; you’ll receive the ticket when first booking the holiday. Once you’ve checked in and received all of your boarding documents, you’ll be seated in the terminal — where the real waiting begins. Cruise lines normally call groups of passengers to board by suite or cabin category, and this can take a while depending on where your stateroom is located within the ship. After a long or (hopefully) short wait in the cruise terminal, you’ll be called to board the ship and finally get your first glimpse of your temporary abode for the next week or so. During your first few minutes aboard, you’ll likely feel a little overwhelmed by the size of the ship, not to mention the sheer number of things to see and do. Depending on the cruise line, you’ll be provided with an embarkation day map, which details the facilities and amenities available to you throughout the day. Most passengers who board early during embarkation like to go out for lunch at one of the many on board restaurants, or else book excursions, enjoy a quiet swim in the pool or check their children into the on board childcare programme. We hope this guide has helped to ease any worries you might have about your upcoming cruise embarkation. Aside from the queuing, departure day is an exciting part of any cruise, and should be counted as a day of your holiday. If you’re in booking a cruise with Cruise1st Australia, click here to visit our homepage or call us on 1300 306 318.